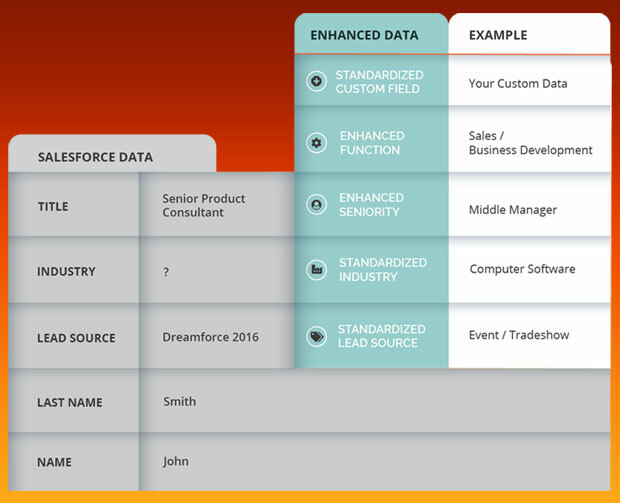 Cien has released its artificial intelligence-based Data Enhancement Services to help companies manage CRM records in Salesforce Sales Cloud implementations, CRM Buyer reports. Provides reports with annotations and corrections per field and object. "I&apos;ve talked to many Salesforce customers that struggle with data-cleansing and data-standardization challenges," said Doug Henschen, principal analyst at Constellation Research. Data Enhancement Services "is an optional standalone Cien offering for companies that aren&apos;t ready to start tackling their sales productivity traps and feel a more urgent need to augment their CRM data for strategic planning, decision making and forecasting," noted Cien CEO Rob Käll. Cien, Inc. was founded in 2016. The company is based in Miami Beach, Florida and has offices in Plano, Texas and Barcelona, Spain. Cien standardizes, enhances and encrypts a user&apos;s data on Amazon Web Services hosted servers locally and around the world, and "at no point involves &apos;writing&apos; on a customer&apos;s Salesforce instance," he told CRM Buyer. Real-time predictions based on data are provided through Cien&apos;s iOS, Android and desktop apps. Data Enhancement Services targets large and medium-sized companies, "typically B2B companies with a high velocity, subscription-based sales model," Käll said. Cien requires at least one year&apos;s worth of data and a minimum team of 10. The cost of the Data Enhancement Services is a one-time US$4,950 True AI implementation fee, plus $49 per user. With True AI, Cien experts help clients execute data-related projects and standardize and enhance their data. "Cien provides a unique five-step methodology for improving a company&apos;s sales using AI," Käll said. "Clean, workable CRM data is just the first step. The holy grail for a lot of sales and operations executives is to have access to data models that understand the semantic and contextual meaning of their data." Understanding the true seniority, true job functions and other details about stakeholders in each deal is critical. "Many times we find the approach companies have taken has been detrimental because they&apos;re talking to the wrong people," Käll pointed out. "Data quality is the perennial problem for the majority of organizations I speak with," said Cindy Zhou, principal analyst at Constellation Research. Data comes in from various sources, and "it&apos;s easy for it to get out of hand," she told CRM Buyer. "I recommend using automated solutions to monitor data quality and cleanse before that happens." Having been founded just two years ago, Cien is a rookie on a challenging playing field. "This is a crowded market, with both the main CRM vendors, such as Salesforce and Microsoft, and a number of other point players providing AI-driven and crowdsourced data enhancement and scrubbing," observed Rebecca Wettemann, VP of research at Nucleus Research. "What&apos;s interesting here is the tie between data scrubbing, of benefit to the enterprise, and sales enablement, of benefit to the rep," she told CRM Buyer. Cien "faces lots of competition...including long-time Salesforce partners such as Informatica, SnapLogic and Talent, but the question is, to what extent is it offering a service versus an AI-powered technology that customers run as a service?" mused Constellation&apos;s Henschen. "Customers should determine whether their employees will be working with Cien people versus Cien technologies," he told CRM Buyer. "Is this a service they can use on their own, or does Cien handle the work on its end on a project basis?" Service-based offerings "might make good sense" if a company faces a one-time project, like a migration to Salesforce or an acquisition where data has to be cleaned once, Henschen remarked, but there won&apos;t be too much change thereafter. Can Artificial Intelligence Help Reduce Sales Dept Turnover?